I'm not sure why I chose to head south on this Sunday, but it was a good pick. I arrived at the White Rock Pier shortly before 10:00 AM, beating the crowds that would be there later in the day. This was a last chance to see some of the loons and grebes that frequent the waters off the pier before they disappeared inland for breeding. It turned out to be a good choice. One of the first birds I saw was a Common Loon in full breeding plumage. It's amazing how these drab birds morph into such beautiful colours. 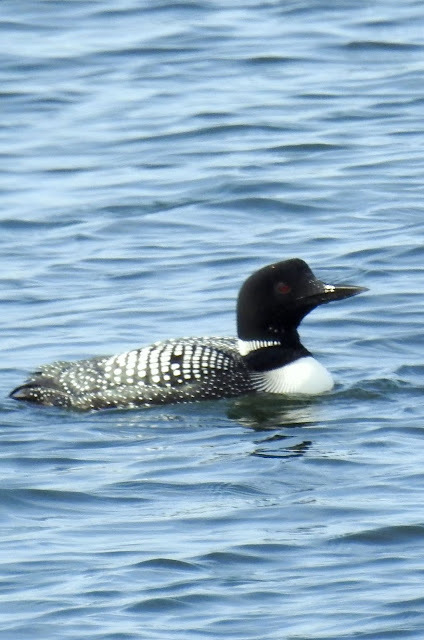 Here's a loon that is still in non-breeding plumage, this may be a first year bird. 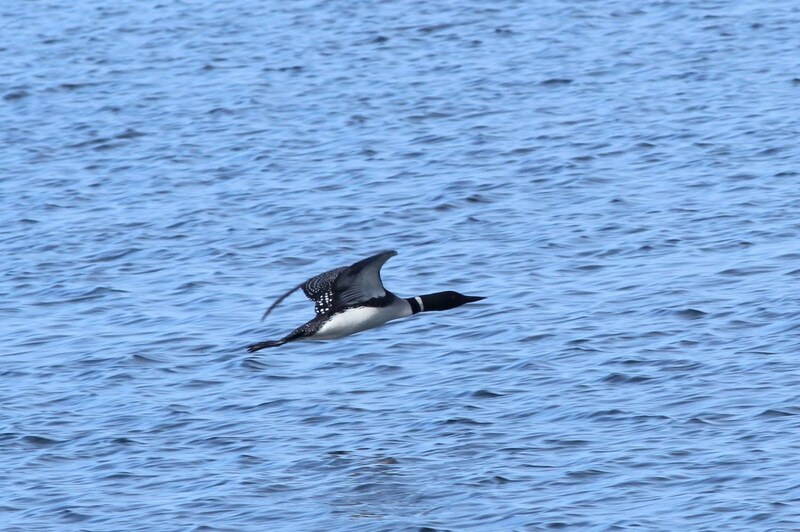 It's quite rare to see a loon in flight, they stay in the water as much as possible. 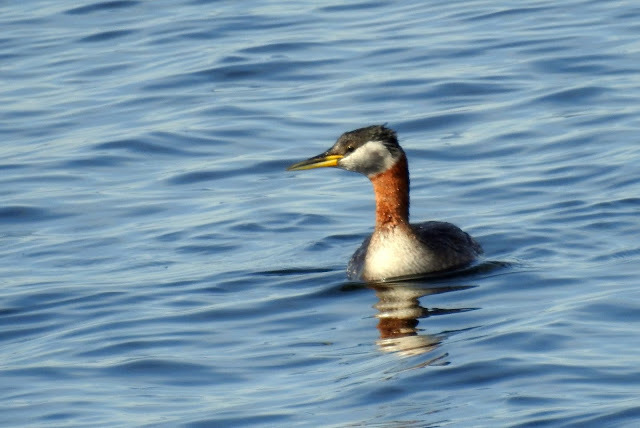 The next bird was one I was hoping to see, a Red-necked Grebe. I normally see them in the Okanagan on my June golf trip, but that is not happening this year. 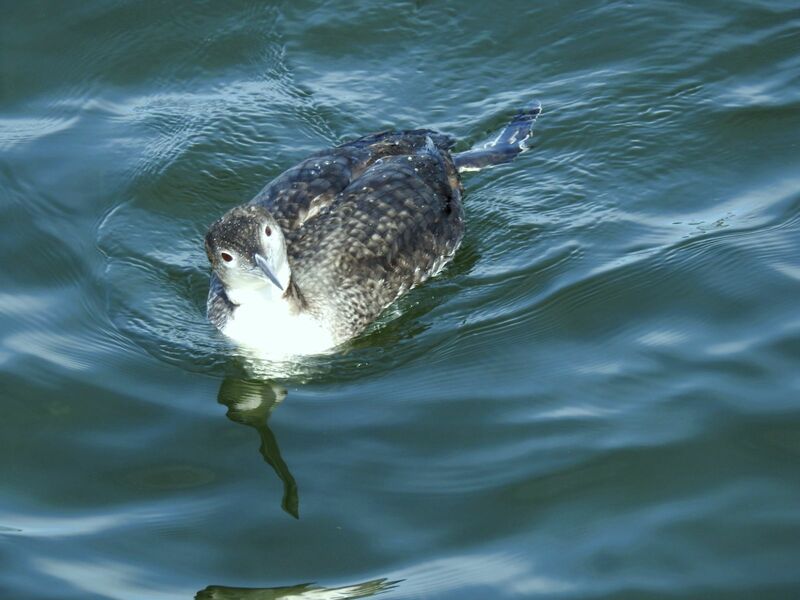 As a bonus, this bird was also in full breeding plumage. 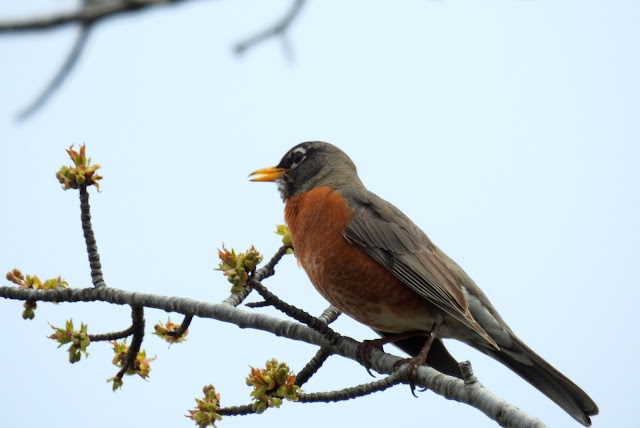 Here's another shot of this handsome bird. 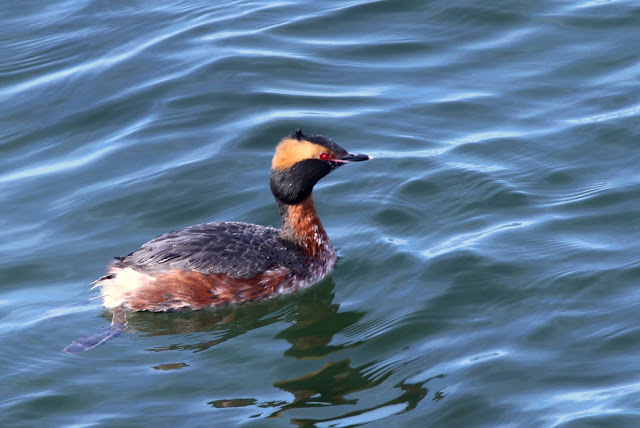 Unlike many other types of birds, Grebes are sexually monomorphic, the males and females have similar plumage. 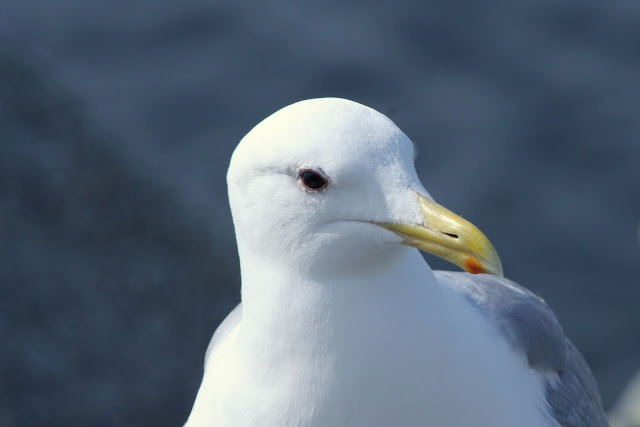 A visit to the Pier is never complete without a Glaucous-winged Gull photo. As I was walking back I noticed a colourful small bird in the water. 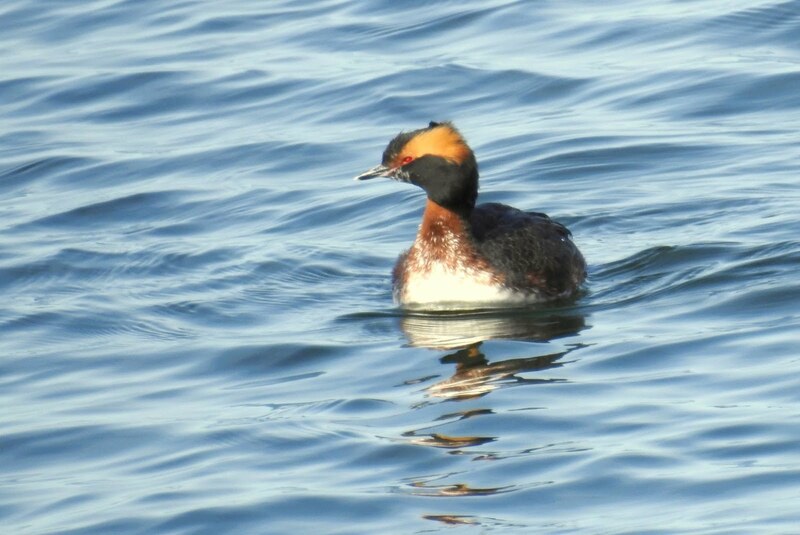 At first I thought it was an Eared Grebe, but then realized it was a Horned Grebe in full breeding plumage. I'm so used to the white and black colours of the winter. This is only the second time I've seen one in breeding colours. I snapped numerous photos as I might not see one again soon. And here's a movie of Grebe taken with the Nikon Coolpix. I left White Rock with a smile on my face and headed for Crescent Beach and Blackie Spit. After a quick stop at Starbucks, I arrived at Crescent Beach. As I was parking I noticed a large shorebird just off shore to the west. 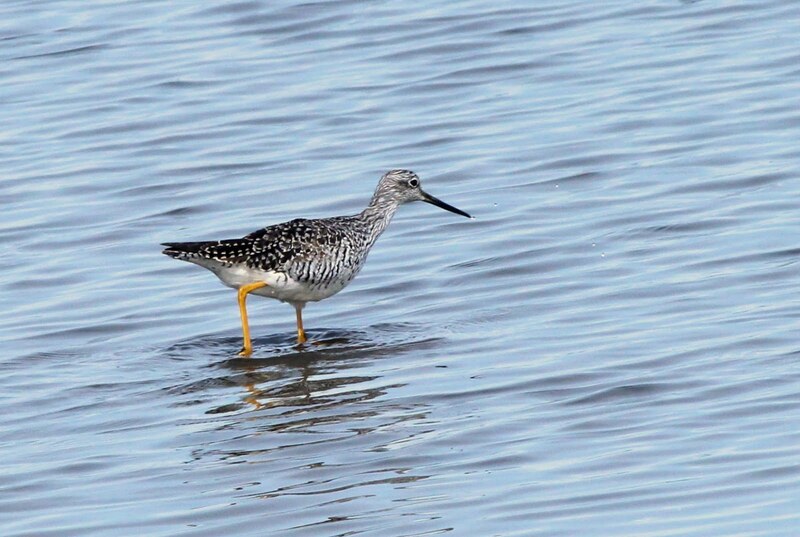 It was my first Greater Yellowlegs of the year. This one clearly has a much longer bill than the width of the head, a pretty reliable way to tell it from a Lesser Yellowlegs. I made my way to the southeast corner of the park where the Savenye Nature area is located. 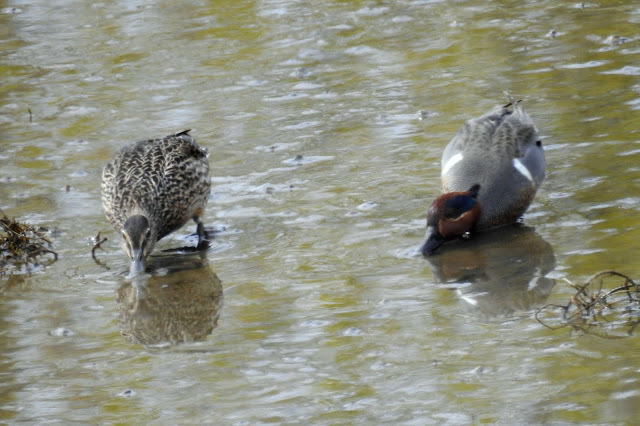 There's a small body of water just before the area where you can often see Green-winged Teal. Today was no exception. A Robin was singing in a nearby tree. In a small wooded area a bit of pishing produced a Kinglet. 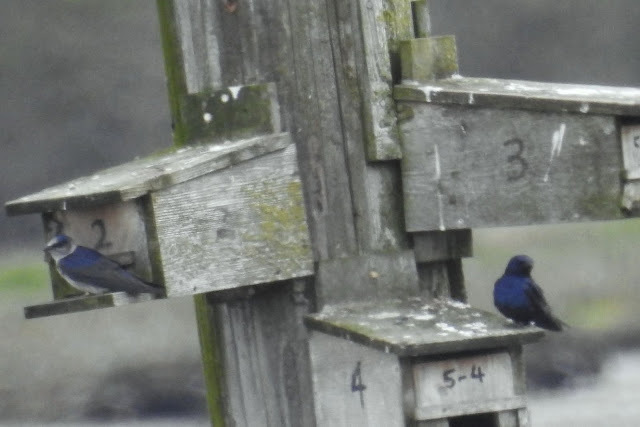 The main purpose of this visit was to check the Purple Martin boxes. 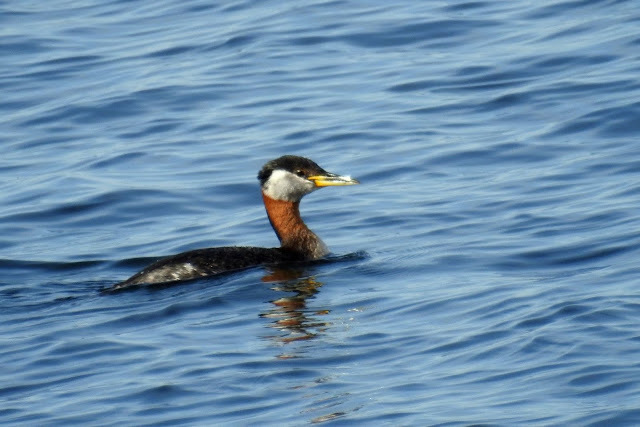 They are mounted on pilings about 50 meters from shore. 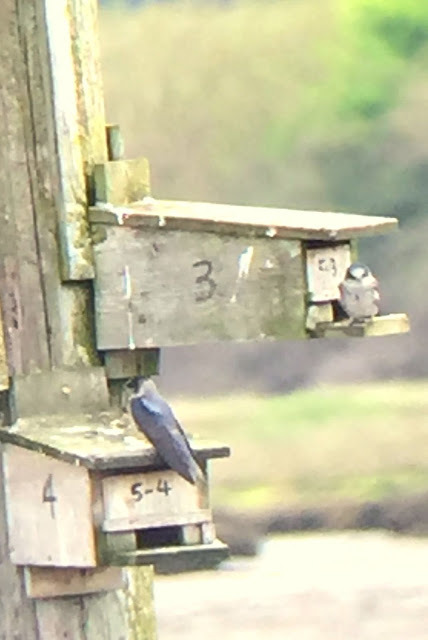 The Martins have to compete with Starlings for the next boxes, and the split seemed to be about 50/50 this year. These photos were taken a long distance with the Iphone through my spotting scope. 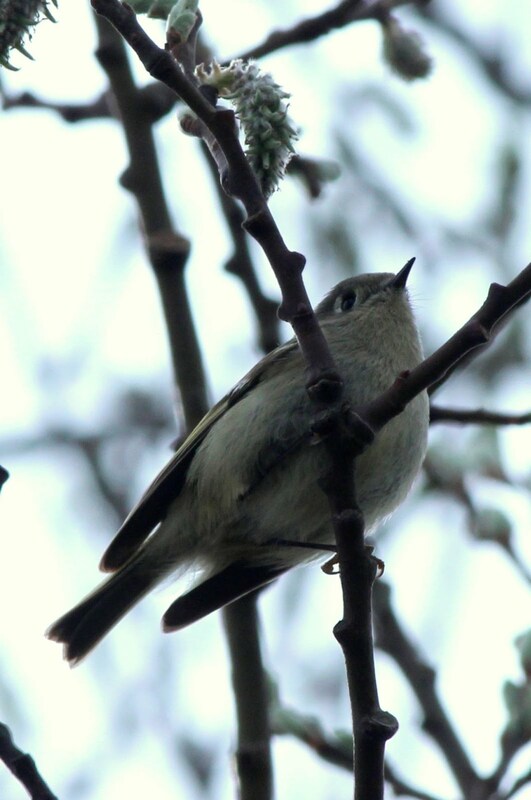 The lighter coloured bird is the female. The darker one is a male, looking somewhat like a large swallow. This shot is a bit clearer and shows the male's colours better. 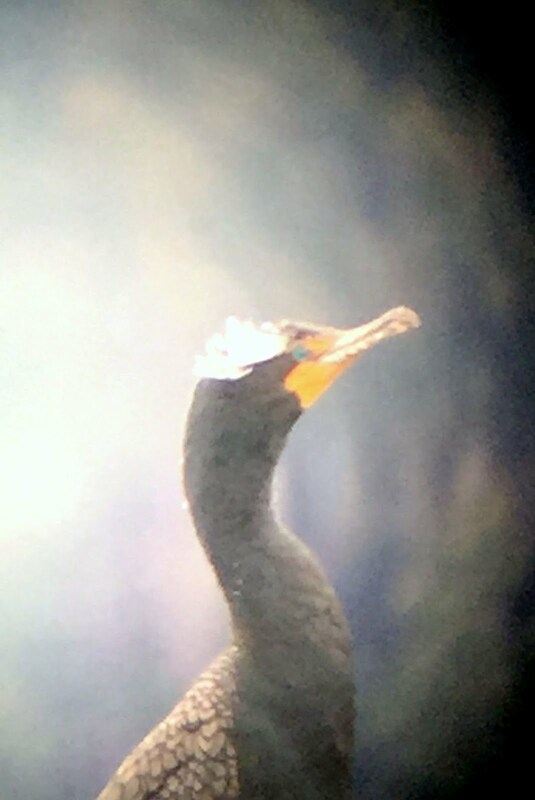 Also on the pilings was this Double-crested Cormorant in breeding plumage. This is the only time of year you see how it gets its name. This is also an IPhone/scope shot. I next had a look in the flooded field next to the nature area, hoping to see more Yellowlegs. Instead I saw some large reddish shorebirds. I was so intent on taking Iphone/scope photos that I did not really look at the birds. 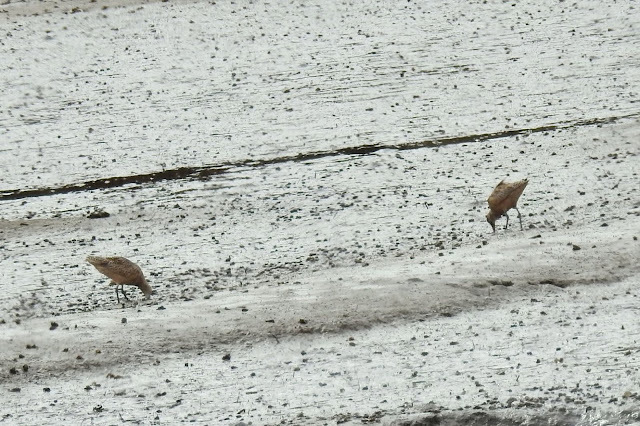 I assumed they were Long-billed Dowitchers. 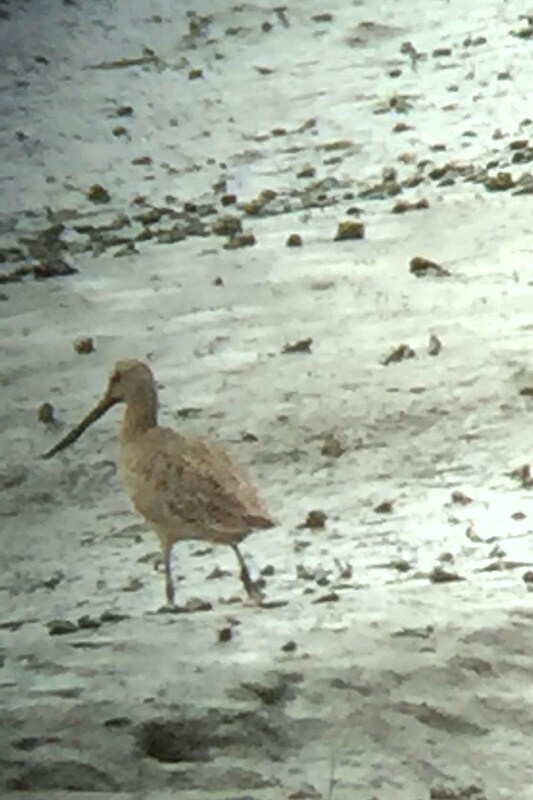 As I was leaving, I spoke to some other birders who reported they'd seen Marbled Godwits. I quickly reviewed my photos and realized that's what I'd seen. I should get some better photos of these beautiful shorebirds sometime this year. These will have to do for now. That was the end of another successful day of birding, it was time to head home for some Easter dinner.